This proven program and bestselling book have changed over 5 million lives. Only available at DaveRamsey.com, this exclusive bundle puts you in control of your money! 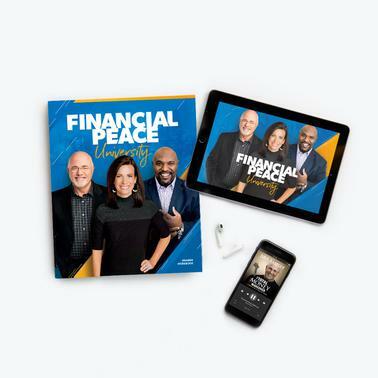 Get started by learning seven, easy-to-follow steps to beat debt with Dave’s all-time bestseller, The Total Money Makeover, then make a plan for your money and get connected with Dave’s bestselling proven program, Financial Peace University! This is your total money transformation! Financial Peace University - Your Workbook and Welcome Card will be shipped to your door. The Total Money Makeover Audiobook will be available for immediate download from your confirmation email after checking out. In Dave's New York Times best-seller, he lays out seven organized, easy-to-follow steps that will lead you out of debt and into a total money makeover. This downloadable Audiobook means no shipping and no waiting.